Are you looking for some home organization ideas which will help to bring order into what sometimes seems to be a chaotic home life? Perhaps you dream of sparkling floors, clear windows and tidy shelves? Do you then wake up to find yourself amidst piles of clutter, and an overwhelming large list of chores? How can it possibly happen? In my opinion, and in my own experience, managing your home has a lot to do with de-cluttering and organizing your mind, first of all and then the world (your home) you live in. When I have too much on and my brain goes to mush with overloaded information, I just simply stop to function effectively - and everyone knows about it and feels it! Meals are put together with what's in the cupboard, the laundry gets out of control, messes pile up around the house, notes go missing, and appointments are forgotten. So, what do I do to get my home in a manageable state again? 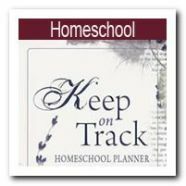 Here is a simple solution to help you get organized. Home Organization Ideas: Dream of Clean Challenge! The DOC Challenge!- I can Dream Of Clean when I follow the simple Home organization Ideas of Declutter, Organize and Clean. It's about following a plan and developing a habit. This way your job list will not be overwhelming, but the schedule you create will be your friend. To organize your home, you need to begin one room at a time. 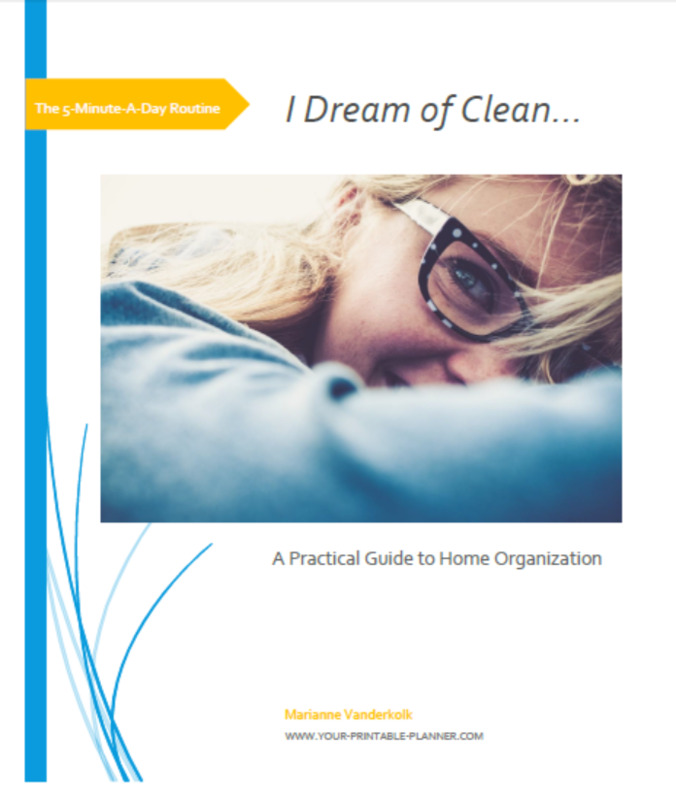 My latest ebook, "I Dream of Clean" helps you do that - working through zone by zone, in 3 easy steps - declutter, organize and clean. 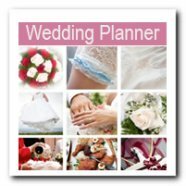 It organizes these tasks into 16 weeks and each week is already divided into daily tasks on a printable cleaning schedule. 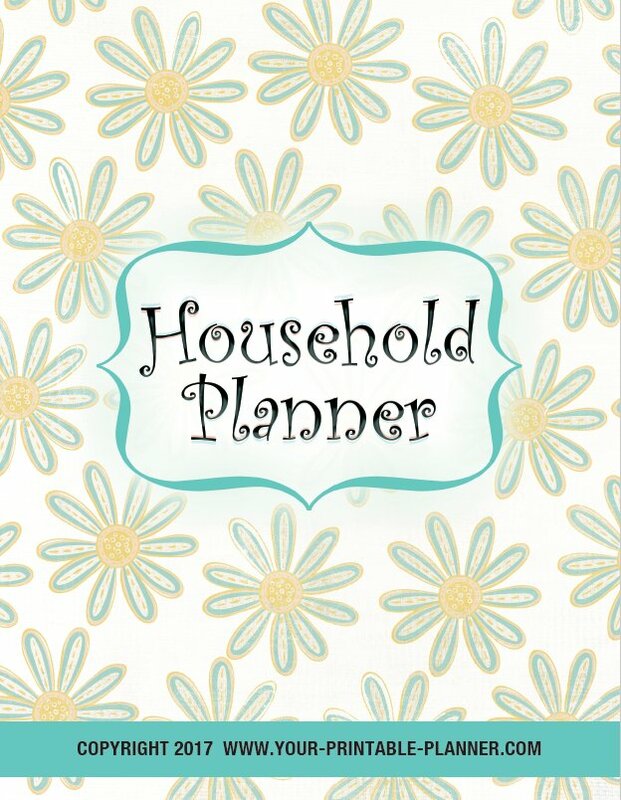 Follow the step by step practical guide to home organization and bring your home into order with this house cleaning schedule with printable checklists. Alternatively, complete the challenge by following the pages below and move through the steps one week at a time; Join the Home Organization Tips Ezine here to keep in touch! 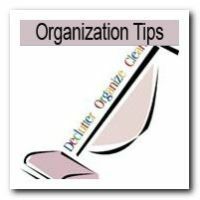 Subscribe to the Home Organization Tips Ezine to keep up to date with the latest Top Tips! 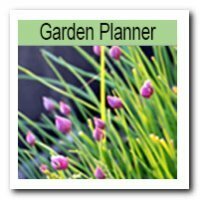 If you have an excellent idea way in which you get organized in your home - a new method, a program, a task management tool, a daily routine that works well, specific jobs you need to do every day... 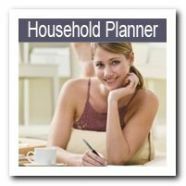 Here is a place for you to add any of your home organization ideas. Perhaps your simple idea will help someone else who is wondering how to get organized. Share some of your helpful advice below in regards to setting up and maintaining daily routines and weekly routines. What works best in your family? How do you get in control of the paper mess on a daily basis? How do you keep it going? 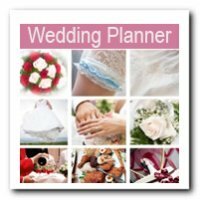 What tools have you used? What do you do each day? Share some of your helpful advice. Here's help to get organized! 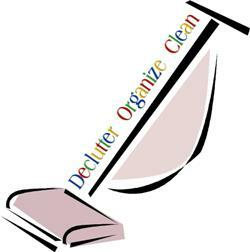 I Dream of Clean E-book Get Organized Challenge!